These magnets will make you smile every time you open your fridge! 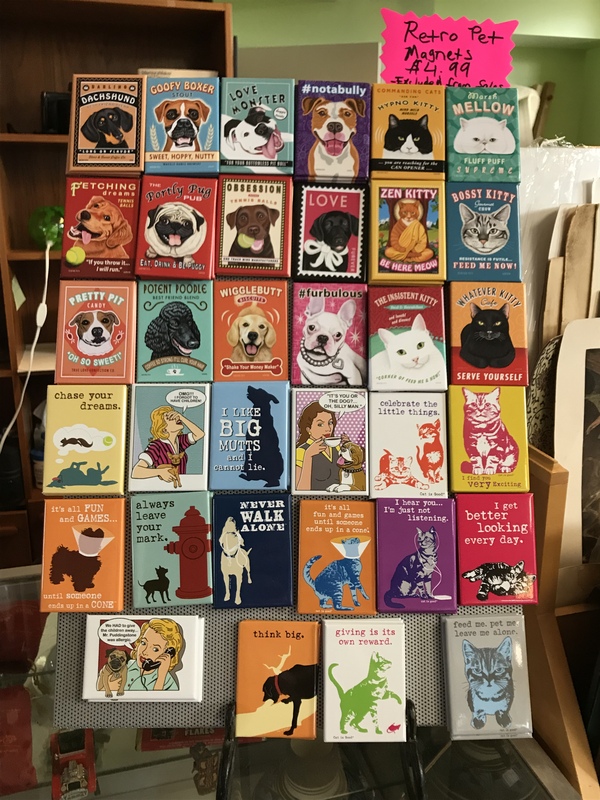 From sweet breed-specific…to whimsical…to snarky…we are sure you’ll find one to make you laugh! For dog and cat lovers. In our Furniture, Decor & More store for just $4.99. Original Design T-Shirts – on CLEARANCE! Our t-shirts let you show your love or animals and rescue, while promoting our organization at the same time. 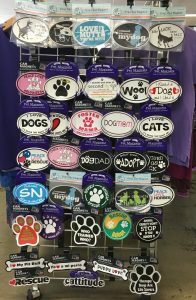 They make a great gift for the animal lover in your life…or for yourself! Sale prices: Short-sleeve $15 each. Long-sleeve shirts are available in the Word Cloud design for $19. Sizes M-2XL in both a unisex and a women’s style. (Limited sizes, colors and styles are available. Once they are gone…they are gone!). We can also ship if you can’t make it into our store! Fill out the T-shirt Order Form and email it to contactus@secondlifeatlanta.org. 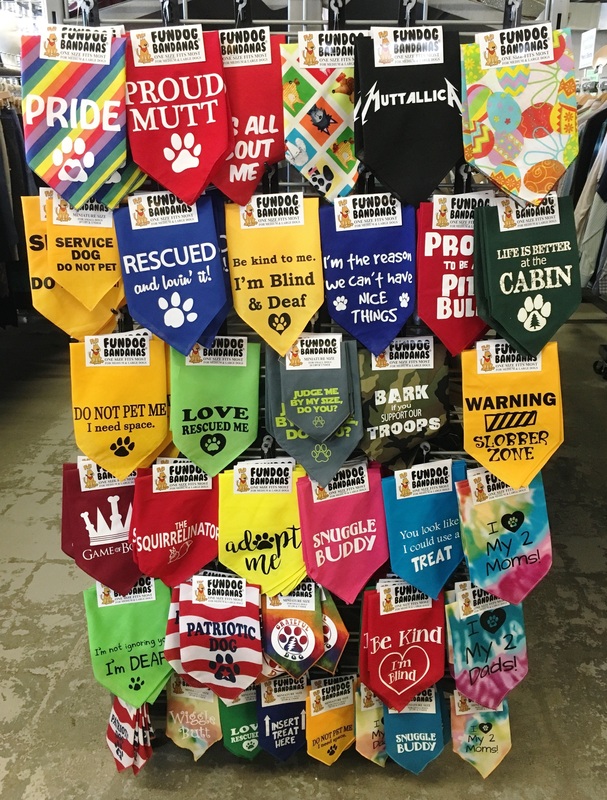 Show off your dog’s silly side. 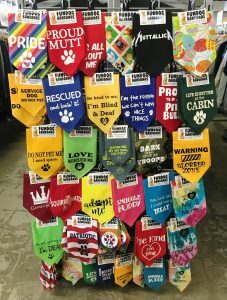 Show your pride at adopting a rescue dog. Show off your adorable pooch! 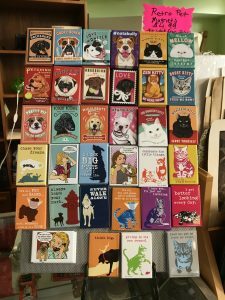 Check out our selection of fun, pet-themed magnets that show your love for animals! 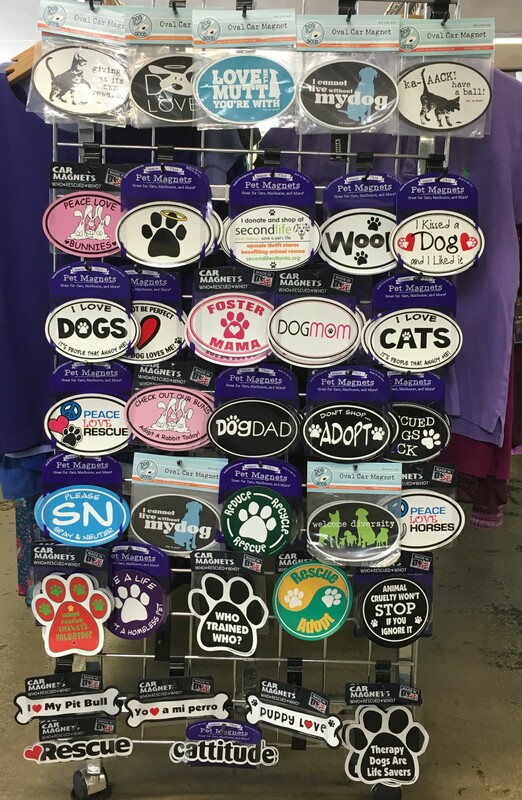 From silly to serious to heartwarming, we have a magnet for every personality. Help support rescue, spay/neuter, your love of pets and more! Supplies are limited. Some items may no longer be available.